With an anticipated investment of more than $4 million in the purchase of two downtown buildings and an additional 18-plus to be purchased in the next few weeks, Artesian Group LLC led by Craig Fenneman and Doug Molin is leading the charge in Martinsville’s downtown revitalization. Fenneman, his wife Mary and Molin and his wife Paula are overseeing work that started on buildings purchased at 10 East Morgan Street and 18 East Morgan Street. “Currently, we are cleaning out the structures with plans to connect the buildings. We have a tenant in the works for the space. Many of the buildings we purchase will be multi-phased because they will need to be cleaned out before rehabilitation work can proceed. “Our plans call for retailers to be housed on the first floor of two-story structures with the upstairs rehabbed into quality apartments, with ultimately 25-30 downtown apartments available for rent. “One of our primary goals is to help create a critical mass of three to four new restaurants to complement the great variety of existing eateries already downtown. We are thinking of some combination of an Italian restaurant, a brew pub and perhaps something like a BBQ location, but we’ll have to see how that all plays out. 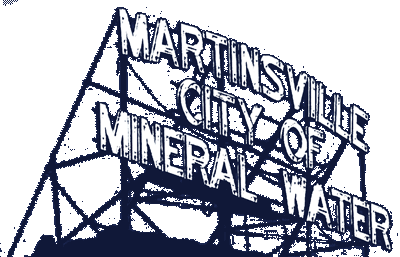 Fenneman credits the Martinsville Chamber of Commerce and the Morgan County Economic Development Corporation for their support along with many downtown businesses who have been helpful and welcoming in the revitalization efforts. For questions or interview requests, contact Mayor Kohl at 765-342- 2861 or Fenneman at 317-508- 3595.